The 6.4 inch Sony Xperia Z Ultra is now expected to launch in Taiwan near the end of July, at a price of NT$22,900 ($763 USD). 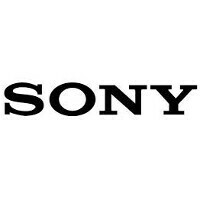 According to Sony Mobile Communications Taiwan, pre-orders will take place from July 24-26 through carriers like Chunghwa Telecom, Taiwan Mobile, Far EasTone Telecommunications and Vibo Telecom. Sony has been trying to expand the current life cycle of a new smartphone, which currently is in the 9 to 12 month range. Sony has been trying to extend that time period by offering new devices that are highly competitive in the market. As time goes by, the Japanese manufacturer turns the model over to carriers who then have the incentive of trying to keep the model alive. So far, this strategy seems to be working. The Sony Xperia S, with its unique translucent strip, has been around longer than 12 months and the Sony Xperia Arco S has been alive for 14 to 16 months. The Sony Xperia Z is still young, being all of 6 months old, and Sony Mobile Taiwan is reporting that sales of the phone have risen since May. The device has just been added to T-Mobile's lineup in the states. The Sony Xperia Z Ultra is the largest screened smartphone with a 6.4 inch 1080 x 1920 (FHD) glass, exceeding the size of the Samsung Galaxy Mega 6.3. A quad-core 2.2GHz Qualcomm Snapdragon 800 powers the phone. The device is IP55 and IP58 certified against water and dust and any writing instrument with a point larger than .65mm can write on the screen. There is 2GB of RAM on board and 16GB of native storage that can be expanded with the 64GB capacity microSD slot. Rear and front-facing cameras weigh in at 8MP and 2MP respectively. Sony is already extremely successful outside the US. It sold phones than HTC, Nokia and Motorola. People must stop taking the US as a benchmark of success. A product not popular in US doesn't mean it's not popular outside the US. Im staying well away from sony device as they always seem to have the longest waits for software updates. I'll stick with my nexus devices for now. Mr Steve Remember to stay away from HTC and LG too. Second OEM to push JB and they update more models to new android versions than any other. Can't wait for this model to land in Europe. Having carried both my 4.3" phone and my Nexus 7 around for a year now I'd love to switch to one device.